In order for us to properly diagnose treatment, bitewing and cavity detecting x-rays will be taken if they are greater than 6 months old. 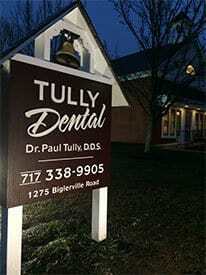 Tully Dental is located in historic Gettysburg, Pennsylvania, just a few miles north of the square downtown on Route 34 (Biglerville Road) in the 1837 red Boyd’s Schoolhouse. Dr. Paul Tully has been in practice since 1995 when he joined his father, Dr. John Tully. 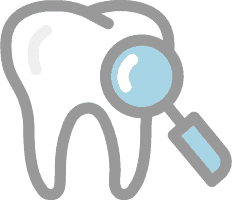 Dr. Paul Tully and his well trained and friendly staff are ready to take care of all your dental health needs. 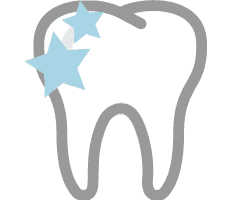 If you are in need of a new dentist or seeking a consultation for a second opinion, please consider Tully Dental. 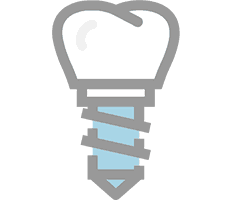 If after looking at this site, you still have questions or would like to schedule an appointment for a consultation, you can contact us by phone. THIS WEBSITE IS NOT DESIGNED TO, AND DOES NOT PROVIDE MEDICAL OR DENTAL CARE AND TREATMENT ADVICE. All content, including text, graphics, images and information available on or through this website is for general informational purposes only. The content is not intended to be a substitute for professional medical or dental advice, diagnosis or treatment. NEVER DISREGARD PROFESSIONAL MEDICAL OR DENTAL ADVICE, OR DELAY IN SEEKING IT BECAUSE OF SOMETHING YOU HAVE READ ON THIS WEBSITE. 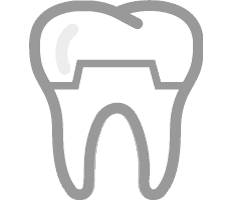 NEVER RELY ON INFORMATION ON THIS WEBSITE IN PLACE OF SEEKING PROFESSIONAL MEDICAL OR DENTAL ADVICE. 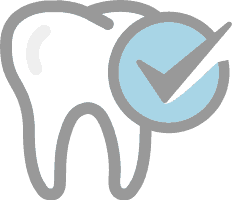 Tully Dental, PC and Dr. Tully are not responsible for any advice, course of treatment, diagnosis or any other information, services or products that you obtain through this site. If you think you have a medical or dental emergency, call your doctor, dentist or 911 immediately. DO NOT USE THIS WEBSITE FOR MEDICAL OR DENTAL EMERGENCIES. RELIANCE ON ANY INFORMATION ON THIS WEBSITE IS DONE SO SOLELY AT YOUR OWN RISK.